There’s a joke about Wikipedia, which says that the problem is that it only works in practice. The same may be said about astrology. Every astrologer probably has their own theory, if they have one at all, about how it works. What we do know is that astrology is not a science, not in the modern meaning of the word. If you try and pin it down in that sort of way, it’ll probably stop working, offended at what you are trying to do with it. Astrologers can provide stories rather than mechanisms about how their craft works. Much like things were 1000 years ago, when if you were asked how the world came into existence, you’d have said well God made it of course. And that was enough for people, and why shouldn’t it be? Why shouldn’t a story that is imaginatively appealing be enough? Even today, with our modern explanation of how it all came about – the Big Bang – at the heart of it you have something coming out of nothing. That isn’t a mechanism, that is a story, it has magic in it. Something out of nothing, who would have thought it? Now I find that more imaginatively appealing than the Big Bang story, because from the beginning the universe is alive. It is not just a bunch of hot particles that have to wait billions of years for that incidental phenomenon, life, to appear. No, life is there from the word go in the form of the goddess of all things, Eurynome. 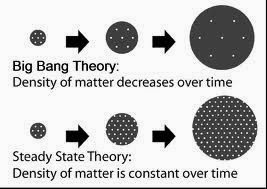 And that, in my view, makes it closer to the reality of things than the Big Bang story. As an astrologer, you experience all the time the intermingling of inner and outer, above and below, life and matter. 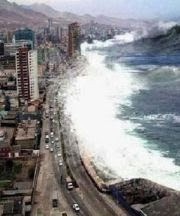 On the final day of Uranus’ transit through Pisces, on 11 March 2011, there was a tsunami in Japan. 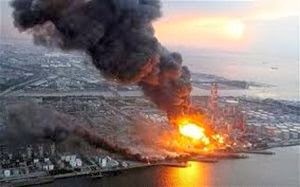 The next day, with Uranus on its first day in Aries, a nuclear power plant exploded in Japan as a result of the tsunami. I don’t think I need to unwrap the symbolism. It was one of those times when astrology describes events in the world with a raw, literal power. Awful as the events were for the Japanese people, for the astrologer they were a striking demonstration of the connections between heaven and earth. And people: at the moment of the explosion, Uranus was ½ a degree off an exact square to the Japanese Ascendant. So there we have it. How does astrology work? 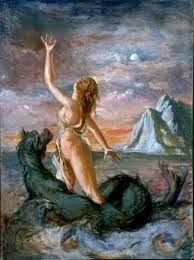 It works due to the powers invested in the planets in ancient times by Eurynome, the goddess of all things. The planets have the names of Roman gods, but they were taken from the Greek – where for example, Hermes becomes Mercury. And, of course, modern western astrology has its roots in ancient Greek astrology. As I said, every astrologer probably has their own theory/story about how astrology works. The above is just one story. 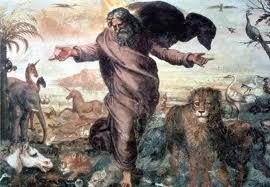 Traditional societies often have a number of Creation stories. The opening chapters of Robert Graves’ The Greek Myths are devoted to several of them. 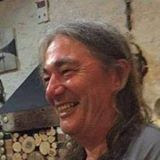 I once asked a Chippewa Cree friend who is a story-teller if his people ever got fundamentalist about their Creation Myth, thinking of it as the way the world began, and he said no, that is because we have a number of stories, and they often conflict with one another! So that is a very different mind-set to the one that, in the West, we have been used to for over one thousand years. A mind-set that says there is only one way that things are, and only one way that things began. That is a definition of fundamentalism, that there is only one reality. Firstly we had it with Christianity, and now we have it with Science. That is not to say that all scientists are closed-minded and fundamentalist. Or indeed that all Christians are. Far from it. But built into the scientific method is the idea that things are only one way. If you have 2 theories – stories – then they are seen as competing, and sooner or later one of them must prevail. You can’t, for example, subscribe to both the steady state and the big bang stories of the origins of the universe. They are conflicting, and you can’t have that. I think well why not, they are both telling us different things about the cosmos, so let's have both. I think there is something to be said for the American schools where they are required to teach both Creationism and Evolution. Let’s not get too hot under the collar about one of these being ‘nonsense’. If you’re reading this, you may well think that Creationism is nonsense. 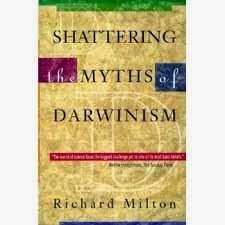 If you read Richard Milton’s Shattering the Myths of Darwinism, you will see how full of holes the theory of, and evidence for Evolution is. But that is not the point. In these schools, children are being taught two contradictory Creation myths, and in my opinion that can be very good for producing open-minded adults, who are able to consider alternative ways of seeing the world. Out of 2 closed systems has arisen something that, potentially at least, could be a good thing, and probably not what either of them intended. So in this consideration of how astrology works, I want to get away from the mindset that says there is only one explanation for everything. We are deeply conditioned to think like that – previous generations, after all, have been trained that way for over one thousand years. Once you think there is only one explanation, then the stories stop being stories and become literal events, set in stone, with little for the imagination to play on. To insist on one explanation implies that the human mind is capable of grasping the whole truth. The universe is so large and complex, our brains are so small in comparison, how could this be possible? And even that which we do see and know is an interpretation provided by our brains at a very fundamental, deep-structure level. Up and down, me and you, time, left and right – all these structures we have for interpreting reality are contingent, they are created by the brain. They are useful, they work, but it means we need to put inverted commas around absolutely everything! 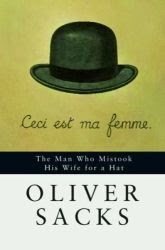 Three decades ago I read Oliver Sacks’ The Man Who Mistook His Wife for a Hat. Sacks is a neurologist who had patients with brain disorders/injuries that affected their perception. You’d get patients, for example, who could tell you generally what something was – a playing card for example – but not that it was the Jack of Hearts. And you’d get patients with the reverse problem. Or ones who had lost the sense of left. 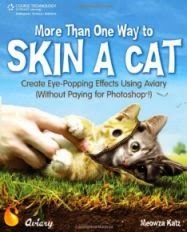 So they’d do everything with the right hand side of their body. They would even eat the right hand half of what was on the plate, unaware of the left half, and then pull the plate round to the right and eat the right half of what was there. And so on. Reading this book was a philosophically powerful experience, much more powerful for me than studying philosophical idealism, which posits that reality is mentally constructed. This book gave me an experience, as opposed to a mere mental awareness, of that philosophical position. Of course, if we do see reality as just one way and as literal, then it provides a measure of certainty in an uncertain universe. And that is probably a perennial human tendency. It makes the big questions a whole lot easier, but also a whole lot less interesting. After you die you go to heaven or hell. After you die you are extinguished. These are both the same answer, in that they are providing certainty to a question that has no certain answers. 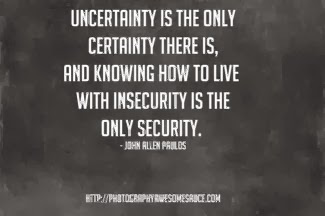 If you can live with metaphysical uncertainty, then the universe opens up. There is the sense of awe at just how mysterious place the cosmos is. As the biologist JBS Haldane said: “My own suspicion is that the Universe is not only queerer than we suppose, but queerer than we can suppose.” And it leaves room for the Imagination to take seriously and delight in, for example, the story of Eurynome creating the world. And it leaves room for astrology. Ditto. I think this is the best piece I've read from you on this topic. It's a philosophy I think I learned from you, this idea that truth is measured on its useful end rather than on where it's attached. You really circumscribed it beautifully this time. As I understand it, every time and place where there has been worship of the One True God, there has been great violence and oppression of others.